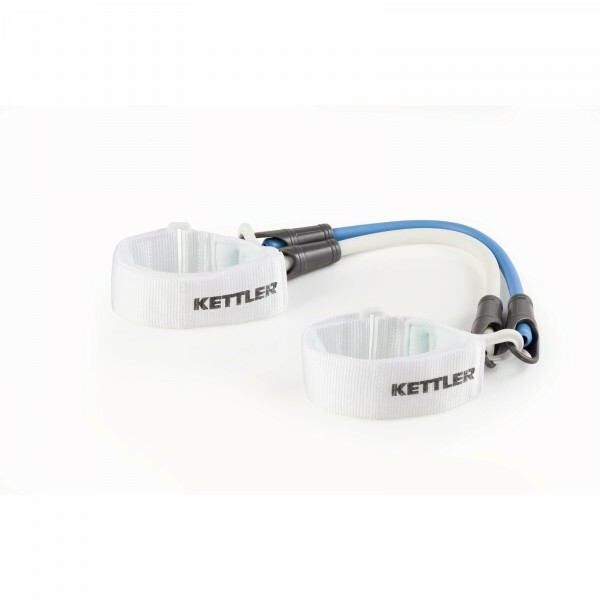 The Kettler Resistance Tube is equiped with two adjustable and padded straps and two resistance tubes of different strengthes. Thanks to the adjustable straps, the Resistance Tube of Kettler is great for leg training as well as training of body stability, and hips. The length of the resistance tubes (unstretched) is 36 cm. As both resistance tubes are of different strengthes, all in all three difficulty degress can be set. The practical lock system allows a quick change of single tubes. Due to the small size, the Kettler Resistance Tube is also excellent for the luggage.